It appears Indian government is again going to roll out demonetisation for its citizens. Last year, the govt scrapped old notes resulting big mucus in the country. Since the move was without giving knowledge to the citizens, it resulted massive income tax raids in country as well. We’re the first to inform the world about new 2000 and 500 rs currency notes as the Prime Minister made emergency announcement. Here we’re back with some exclusive images of new 50rs notes. According to our best information, govt may scrap old 50 rs notes and issue the new ones. Its also expected that govt will release 200 rs in lieu of new 100 rs notes. The new 50rs notes could be issued in the market in September itself. The move is expected to roll out before September end. The main reason behind September end is considering Diwali, major Hindu festival arrival in October month. BJP, leading alliance in Indian politics may loose a huge vote share if the same affected diwali preparations of the citizens. Govt may not immediately ban all the old notes and take them out of economy using banking institutions. Its also believed that Demonisation 2.0 could arrive in November itself alike the last year. The move is motivated towards promoting Digital India. Earlier this year, we have seen images of 200 rs notes getting viral on the social media. The images are completely fake and modified version of 2000 rs images. 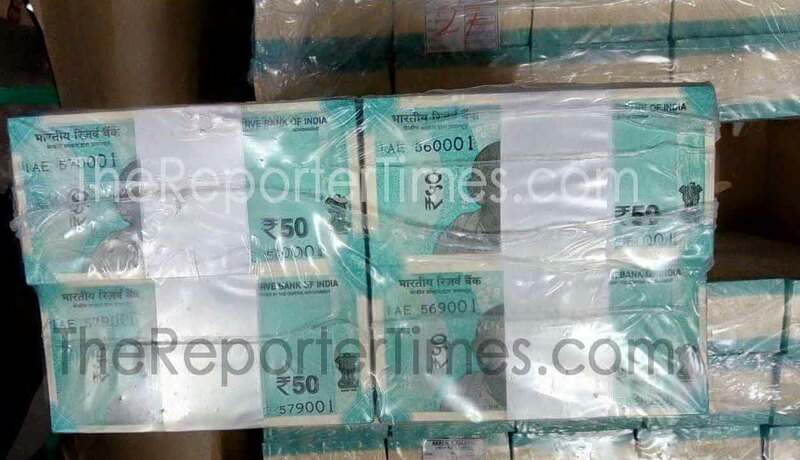 Next articleNew 50 Rs Note Images of Indian Currency Leaks: Is It Demonetization 2.0?